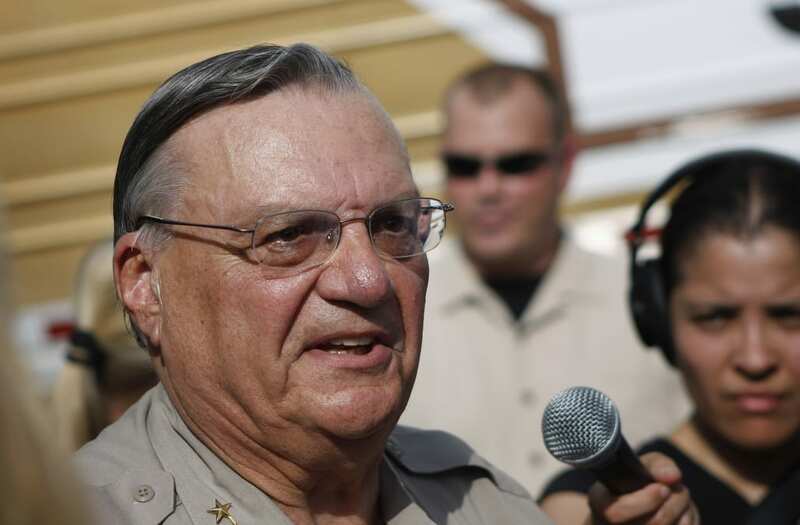 PHOENIX, Ariz. — Joe Arpaio, the former Arizona lawman found guilty last month of criminal contempt, said Wednesday he was "humbled and honored” to hear the president tell supporters Tuesday night that a possible reprieve could be in the pipeline. [UNVERIFIED CONTENT] Joe Arpaio, 'America's Toughest Sheriff' at the annual Fiesta del Sol parade in Phoenix. But, the president stopped short of announcing a pardon. But, Trump added, "I'll make a prediction. He'll be just fine... Sheriff Joe can feel good." The president previously told Fox News that he was "seriously considering” a pardon for the former Maricopa, Arizona sheriff who faces up to six months in jail for ignoring a court order to stop detaining suspected undocumented immigrants. Arpaio lost his re-election bid in November after serving as sherriff for 24 years. But if a pardon is coming, Arpaio says he doesn't know when Trump might announce it. "I haven’t talked to him in quite awhile. So I have no insight of what’s going on,” Arpaio said Wednesday. In 2013, a judge found Arpaio and his department had engaged in racial profiling against Latinos. Arpaio was later charged with contempt and convicted for intentionally ignoring the judge's order to desist. Arpaio, who has been a staunch Trump supporter since his campaign, said his gut told him to skip Tuesday's rally. Outside the venue, protesters rallied against the president, which resulted in four arrests, police said. Arpaio's sentencing is slated for Oct. 5, but he plans to appeal his conviction. “I enforced the law. Let’s leave it at that. The legal part of that will come out soon. I have good attorneys, and I am very confident the true story will come out,” he previously told NBC News.